MBIT Japan will help you navigate through the technology wilderness, ensuring a correctly planned and implemented IT environment that grows and moves with your business. Working with you to understand your business process and business requirements for an effective IT solution. With our experience in delivering quality, standards based IT environments tailored to your business. We can ensure rapid deployment, and cost effective solutions. From simple installations to major overhauls, strong project skills ensure work is completed on time, within budget and to meet your specific business requirements. We take the hassle out of managing your IT environment with our proactive IT support and management service. MBIT Japan has achieved Select Certification from Cisco. 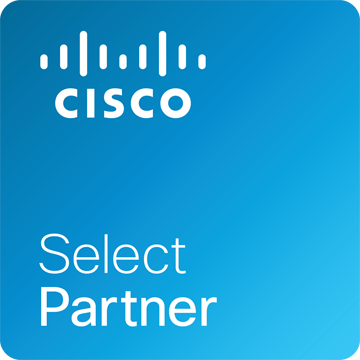 The Select Certification recognizes Cisco® resale channel partners that focus on meeting the technology and services needs of small businesses. MBIT Japan t has achieved the Small and Mid size Business (SMB) Specialization from Cisco. The SMB Specialization recognizes Cisco resale channel partners that focus on meeting the technology and services needs of small and mid size businesses. Cisco Meraki cloud-managed edge and branch networking solutions simplify enterprise-class networks. Wireless, switching, security, and devices are centrally managed from the cloud, In this way, Meraki gives network administrators visibility and control, without the cost and complexity of traditional architectures. Whether it’s an upgrade to a data center or computer room, the installation of a control panel or implementing maintenance and repair operations, Panduit contractor and installer partners deliver verified system performance and help customers achieve project goals on time and on budget. Panduit and partners understand that the need for outstanding service and support does not end when the installation is complete. Together we offer continued service and support to help you get the most out of your investments. Copyright © 2019 MBIT JAPAN. All rights reserved.